"Psychedelic-Blues music for your soul" is what the Iowa band Radio Moscow wishes to deliver to your eardrums. They've been compared to Cream and The Jimi Hendrix Experience. This music will definitely take you back to the 60's and 70's. Get comfortable and prepare to be molested. This band was formed when Parker Griggs began jamming in his basement and got a demo into the hands of Dan Auerbach from The Black Keys. 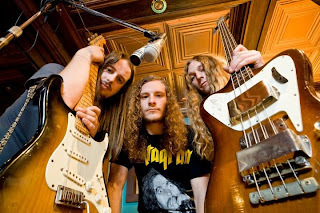 Auerbach went on to produce their first album, Radio Moscow, in 2007. The band has seen a lineup shift or two over the last few years but managed to create two more full-length albums and then release a "basement recordings" album from early demos. The current album, released in 2011 and called The Great Escape of Leslie Magnafuzz is a 12-track masterpiece of soul-churning hard rock mashed up against 'shroom riffs and fuzzy rhythms. 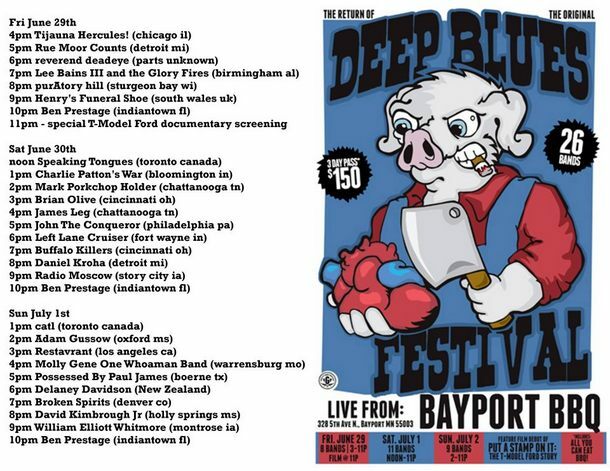 Radio Moscow just finished a US summer tour including a performance at the "notorious and legendary" Deep Blues Festival in Bayport, MN. I've got to give a shout-out to Bayport - it's the town where my family made its bread and butter, located just across the river from my own hometown of Hudson, WI. The Deep Blues Festival ran from 2007-2010 and became "one of the biggest alternative blues festivals in the world" before having to shut down because of financial issues. 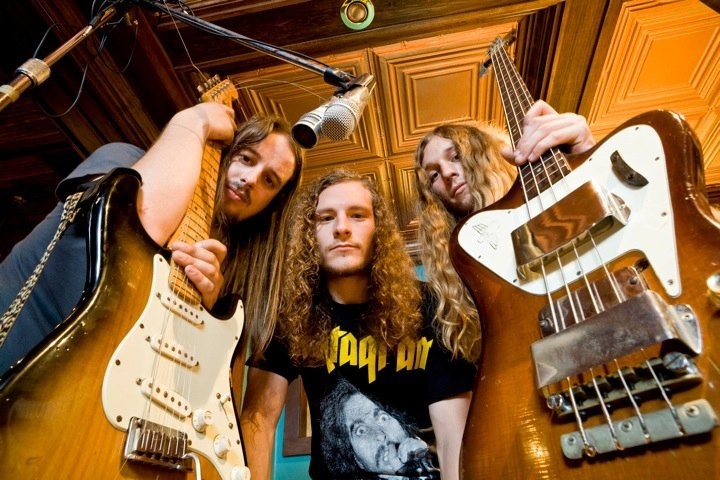 They were able to re-launch the fest this year and featured 26 acts, including Radio Moscow. 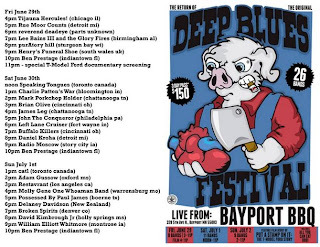 ALIVE AT THE DEEP BLUES FEST is a compilation of live recordings from this event and is set to be released November 27. And pre-order the Live Blues Fest album! Buy all your music on Amazon - you can choose mp3 format or hard copy.